We're super happy to confirm that the winter expansion, EVE Online: Onslaught, will be deployed next Tuesday, November 13th, during an extended downtime. Downtime for the deployment of Onslaught will begin at the usual time of 11:00 UTC. Given the size of this release, we do not currently have an ETA for when the cluster will be back online and accepting connections. We anticipate that Onslaught should take roughly 45-60 minutes to deploy, however downtime may be longer than this due to the nature of the release. Be sure to keep an eye on the EVE Online Launcher, and on the @EVE_Status twitter feed for more information on how the deployment is progressing. 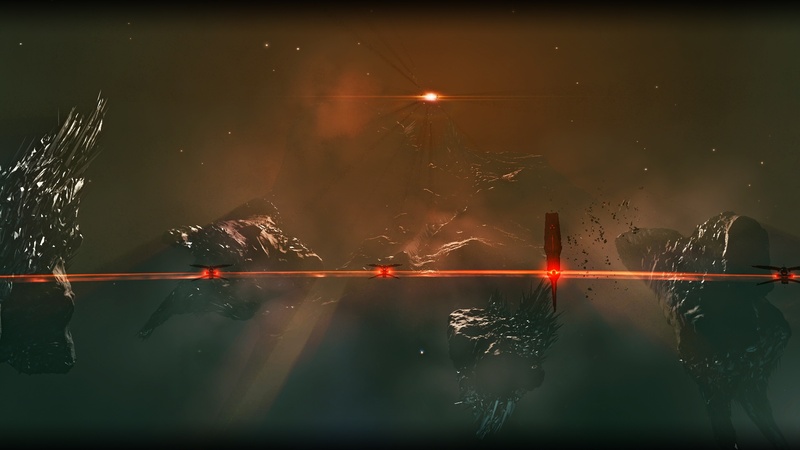 EVE Online: Onslaught brings a whole host of new navigation structures to New Eden, as well as both Abyssal PVP encounters and co-operative abyssal encounters for up to three frigate pilots at a time. The Triglavian ship line also sees the introduction of two new hulls, a destroyer and battlecruiser that arrive with Onslaught, as well as the new Activity Tracker, global seach, compact planetary interaction overview and balance changes that include ECM tweaks and a whole host of changes to Force Auxiliary class hulls. Check out EVE Updates for an overview of the content coming with EVE Online: Onslaught, and for a more detailed dive into what's coming take a look at the full patch notes here.